About R.S. Semler & Associates Insurance, Inc. - Hartford, WI - R.S. Semler & Associates Insurance, Inc. The best independent insurance agency throughout Southeastern Wisconsin, including Hartford, Slinger, Richfield, West Bend, Rubicon, Iron Ridge, Neosho, Hustisford, and Theresa. R.S. Semler & Associates Insurance, Inc. is your trusted independent insurance agency throughout Southeastern Wisconsin, including Hartford, Slinger, Richfield, West Bend, Rubicon, Iron Ridge, Neosho, Hustisford, and Theresa. R.S. Semler & Associates Insurance, Inc. is celebrating its 50th Anniversary. That’s not just 50 years in business, but four generations of local knowledge, and the staying power to keep an eye toward the future. We built our business on the philosophy that people come first. 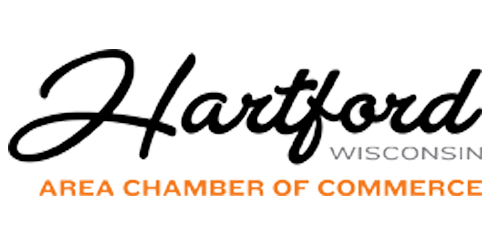 The agency began with a very small office of two employees in the heart of Hartford, but has grown to a staff of twelve and holds a very big vision of the future. We are the oldest insurance agency in Hartford for the simple reason that we insure what is valuable to you, giving you peace of mind. Today, that commitment continues and we proudly celebrate 50 years in the Insurance industry. As we look back over those years, we are extremely proud of our ability to take care of our customers at their time of need, our commitment to the local community and our business accomplishments. Thank you for your business from all of us at R.S. Semler & Associates Insurance, Inc.
R. S. Semler & Associates Insurance, Inc. has been serving individuals, families and businesses in Southeast WI for over 50 years! We are proud to be a 4th generation family-owned insurance agency with decades of experience in creating customized solutions for our personal insurance, business insurance and employee benefits clients. 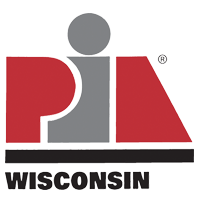 We work with a wide variety of individuals and businesses throughout Southeastern Wisconsin, including Hartford, Slinger, Richfield and West Bend, specializing in Retail Business Insurance, Manufacturer Insurance, Auto Repair Shop Insurance, Commercial Umbrella Insurance, Condo Building Insurance, Farm Insurance, Brewery Insurance and Technology Firm Insurance. Our professional independent agents are local community members who see you as a neighbor, not just a policy number. We help manage risks by getting to know you and your situation so we can better answer your questions and suggest the best coverages for you. Our agency represents only the most reputable and financially stable insurance companies which gives our clients the protection they deserve. Our specialty is tailoring policies specific to your personal or commercial needs. Our team members are your neighbors…they share your interest in the community where you live, and understand the benefits and challenges of these areas. They are highly involved in local communities, sponsoring youth sports teams, buying from your local businesses, supporting school organizations and voicing opinions in the community. They are right around the corner, ready to help. At R.S. Semler & Associates Insurance, Inc., our mission is very simple. We strive to provide a true, concierge client experience which is unique in the insurance industry. We give clients the power of choice from top-rated national and regional insurance carriers. We offer comprehensive insurance solutions throughout Southeastern Wisconsin, including Hartford, Slinger, Rubicon, Jackson, Richfield, Oconomowoc, West Bend, Iron Ridge, Horicon, Neosho, Germantown, Hubertus, Kewaskum, West Allis, Milwaukee, Menomonee Falls, Hartland, Allenton, Jackson, Hustisford and Ashippun.